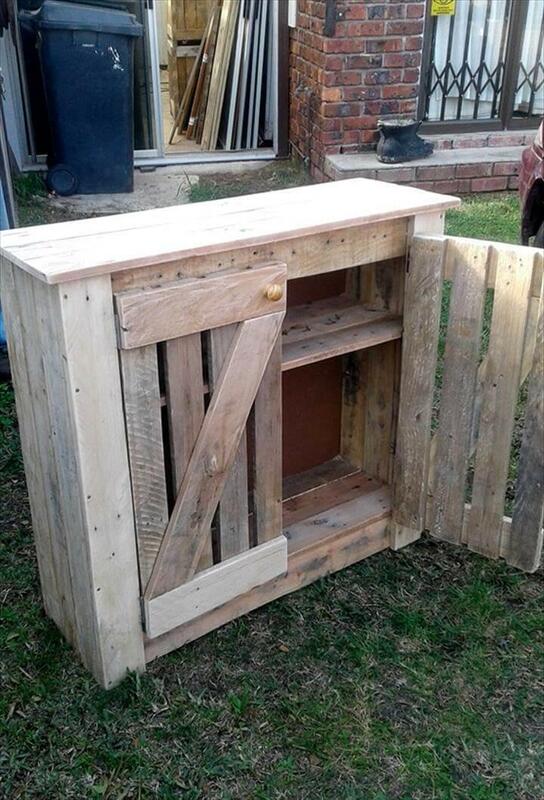 We like to share the most wisely furniture out of pallets as the latest techniques used can inspire a number of more people to get crafty with pallets as it is a nice way to improve your home and living style in a budget-friendly way! 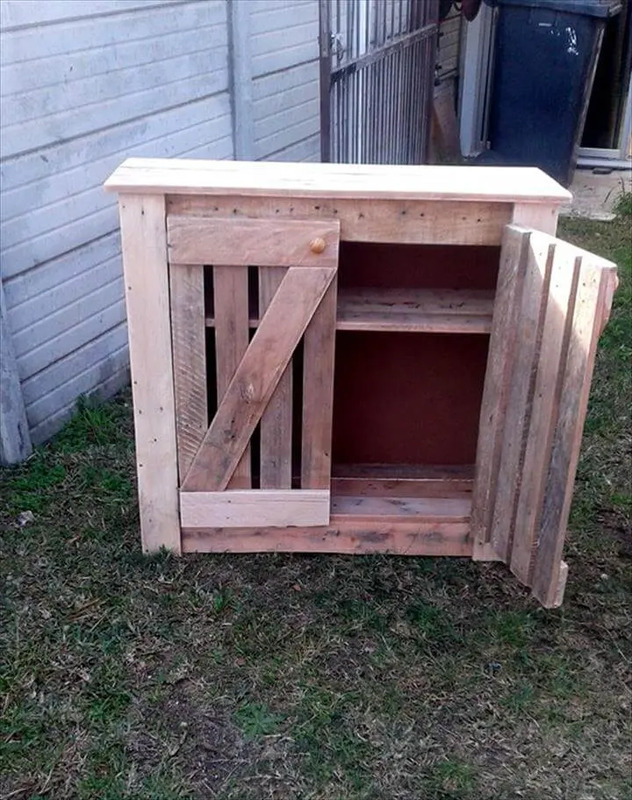 Here we are again with one latest furniture recovery, the DIY mini pallet cabinet for storage built in a style using straight separated slats of pallets while smoother back is made of plywood, reclaimed from home! It can be set as a mini floor cabinet or can be set to a wall area to store your stuff safely! 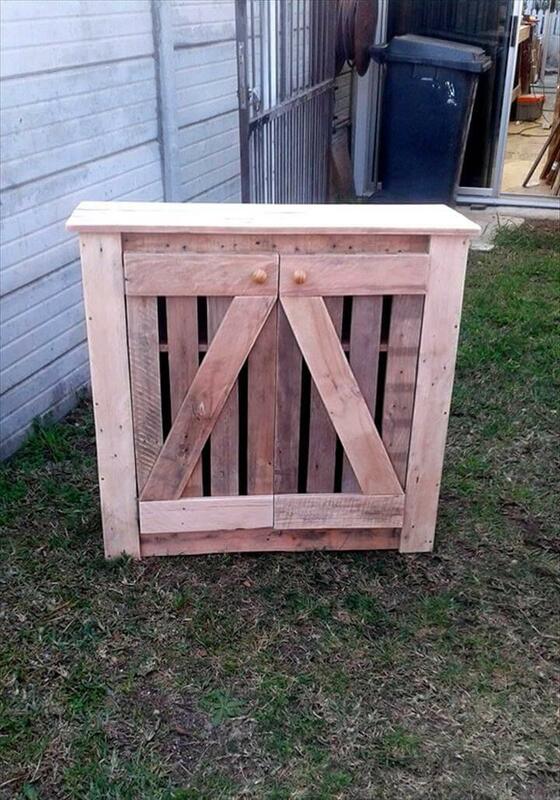 Build a bigger box using single pallet slats and then add the dividers inside to create further storage compartments and final step would be to add the front doors! Build the doors separately by going with measured values and install them to decided positions through hardware hinges, don’t forget to add the knobs that will help to grip the doors for easy opening! 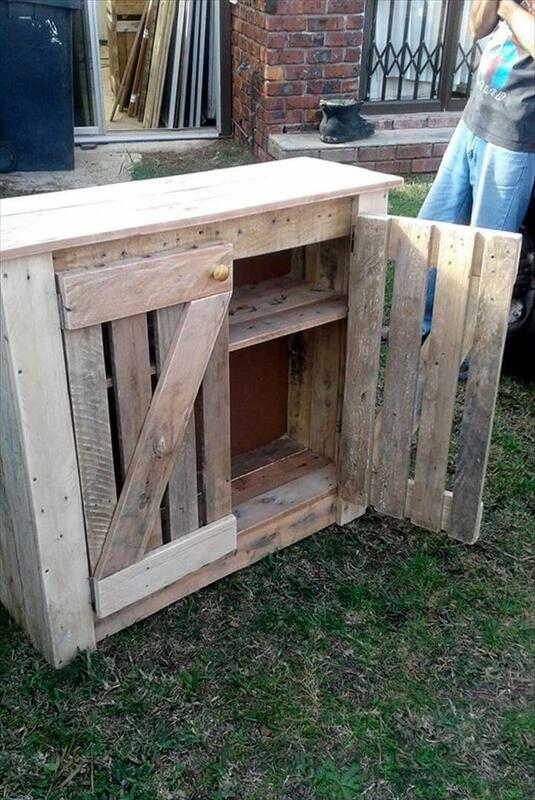 Once again something beautiful has been made by getting crafty with those single slats of pallets, this time it is a mini storage cabinet! There are built in storage compartments and shelves to organize your stuff carefully and in a mannered way, scale up or down the size just to get more number of shelves and storage compartments to suit your needs! 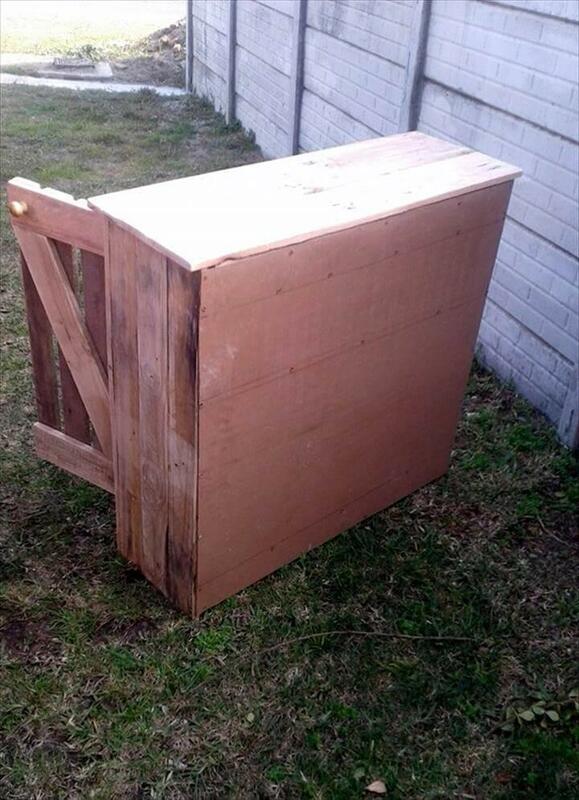 It comes with 2 hinged front doors, separately made out of pallets and have been styled up with a Z-shape pattern in front that also holds the planks well in place! Cover the backside with plywood sheet or chipboard if having in your home, will make the back look smoother and awesome! Add knobs to doors and make sure you have assembled each part in a nice way! Now you can plan a final finish to create stability and protection to wooden surfaces along with a custom tone of wood!